» News » Pokémon GO - Shiny Meltan will appear for a limited time! Pokémon GO - Shiny Meltan will appear for a limited time! Niantic has announced that Shiny Meltan will be available for a limited time in Mystery Boxes from February 5th, 2019 at 1 p.m. PST until March 4th, 2019 at 11:59 p.m. PST. 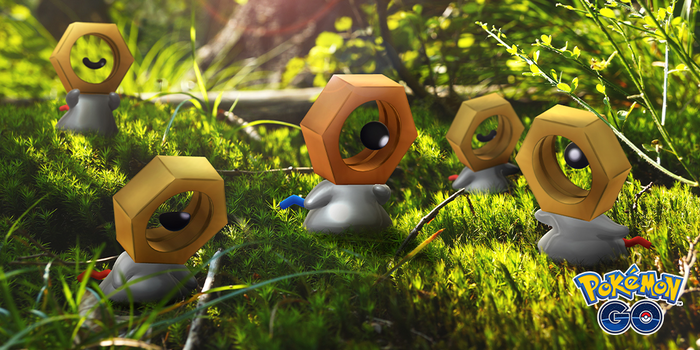 Players have a chance to get a Shiny Meltan and then put it in their GO Park or evolve it into Shiny Melmetal. Trainers, We have exciting news! The Shiny version of the Mythical Pokémon Meltan has been discovered! Just in time to celebrate the Lunar New Year, the Shiny version of Meltan will appear for a limited time.